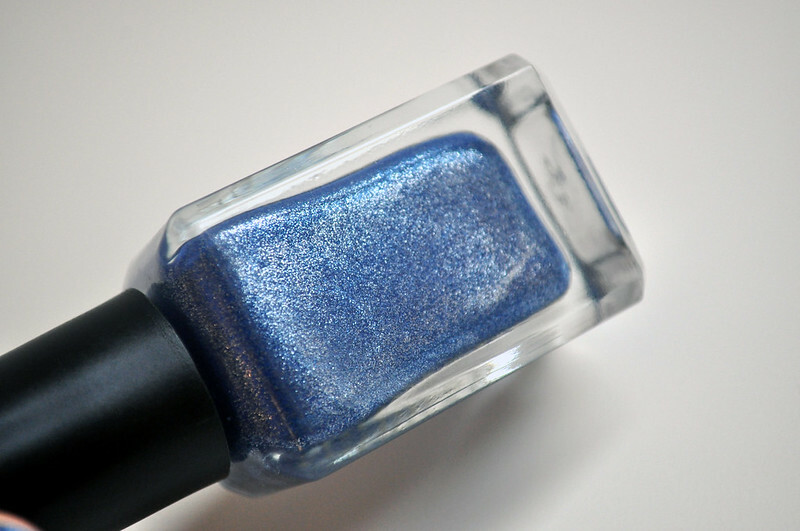 I'm not usually a fan of blue nail polishes and I'm also going through a phase of not liking shimmer polishes either but for some reason I really like this one from Barry M. Without a top coat Denim looks exactly like the name says but with a topcoat you loose the silver shimmer and matte finish. 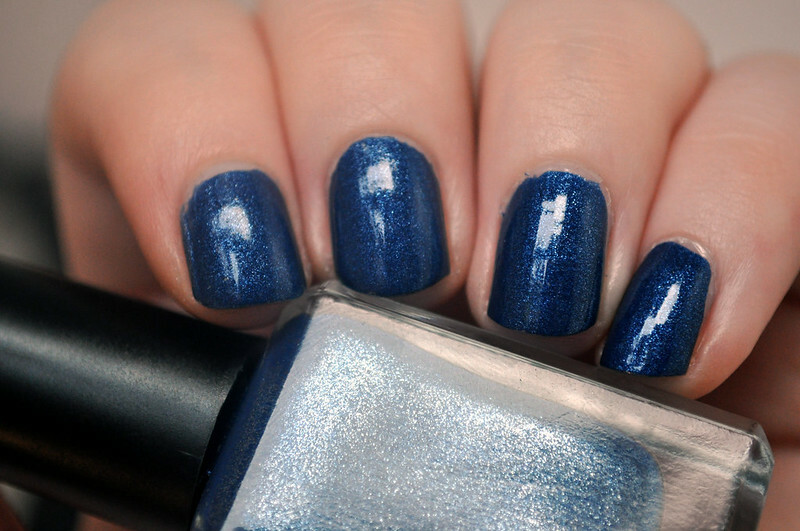 I like both ways of wearing it but think I prefer with a top coat and it also lasts longer. If you're careful when applying this polish you can get away with only using one coat which is perfect when you'd rather be going to sleep than waiting for your polish to dry. Which is exactly what I did last night. I started using Jessica Top Priority as my topcoat but I found that it was making the colour drag and actually come off onto the brush. I've never had this happen with a polish before and didn't have a problem when I switched to using Nubar Diamont instead. Anyone else had this happen before and know why? I'm pretty sure it wasn't because the polish was still wet. You can buy Barry M polishes from their website, Boots or Superdrug for £2.99.